With cameras like the D5500 with built-in Wi-Fi, its easy to set the camera up and use the Wireless Mobile Utility app on your smartphone to compose and take the photo, as is being done here. This image was shot with the D5500, which features built-in Wi-Fi®. By using the Wireless Mobile Utility app. on your smartphone or tablet, you can remotely control the camera and take pictures such as this group selfie. Self-portraits, also known these days as Selfies, are more popular than ever. In fact, the Oxford English Dictionary even added “Selfie” in 2013 because of its popularity in every day language. Today’s cameras make it easy to take Selfies, with some models even designed to make it simple to take self-portraits; and with everyone sharing their images on social media these days, there’s an abundant audience waiting to see your next shot. Photographers and artists are even creating entire careers out of self-portrait photography. Think about it—you’ve got an idea for a portrait but no one is around to model for you—so you become the model and shoot a Selfie. An option for taking selfies with compatible cameras is the Selfie Stick. Simply attach the camera, set the self timer and hold it out at arms length to take a great selfie shot. With a Nikon camera on a selfie stick, you can use the self timer to take the photo. The easiest and quickest way to shoot a selfie is to hold the camera at arms length with the lens pointing at you. Depending upon the focal length of the lens and how long your arm is, you may or may not end up with a distorted view of yourself. You could also point the camera into a mirror to take a photo of yourself. Just keep in mind that any writing that may be on your clothing or the background will come out backwards. If you use this technique, remember to have the camera’s autofocus lock onto the reflection not the mirror itself, otherwise, the photo will be out of focus. Select Nikon cameras make taking Selfies super easy. Some Nikon cameras have LCDs that flip up or angle so you're able to see what the camera sees. All Nikon cameras—COOLPIX point and shoots, Nikon 1 compact interchangeable lens cameras and DSLRs—have a self-timer option. Put the camera on a tripod or sturdy surface, frame up the shot, set the camera’s built-in self-timer and jump into the shot. Use a wired remote cable release with your Nikon DSLR. This option is ideal if you’re going to be standing very close to the camera. Nikon makes the MC-30A (31.5 inches in length) or MC-36A (33.5 inches in length); or the MC-DC2 (3.3 feet in length) wired remotes, which are easy to use. Check your user’s manual to see which is compatible with your camera. Simply attach it to the camera, hold it out of sight, smile and press the shutter button on the remote. Use a Nikon wireless remote. Depending upon your camera, it may be compatible with a wireless remote such as the ML-L3, ML-3, WR-R10/WR-T10 or WR-1. The ML-L3 and ML-3 use infrared and as such, need to have a clear line of sight between you and the camera. The WR-R10/WR-T10 and WR-1 use radio frequencies to communicate. Use the Wireless Mobile Utility along with the WU-1a or WU-1b wireless mobile adapters or your camera’s built-in Wi-Fi® (if it has that feature). For the select cameras that utilize either built-in Wi-Fi or Wi-Fi via the adapters (check your camera’s manual to see if its compatible), you’ll be able to set the camera on a tripod or sturdy surface and use the app on your compatible smartphone or tablet to remotely take the picture. Use a Nikon Selfie Stick. If you’ve got a compact Nikon COOLPIX digital camera or Nikon 1 camera that with its lens attached is less than .88 lbs, you can attach it to the Selfie Stick, set the self timer, hold it out in front of you and snap the shot. Be mindful of where you are though, some museums and sports arenas have limitations on the use of Selfie Sticks. Nikon’s Selfie Stick collapses when not in use, has a padded foam handle and wrist strap for convenience. Using a Nikon camera on a selfie stick is a simple way to document a fun moment. Selfie sticks make it easy to take great selfie or self portrait photos while keeping the spontaneity of the moment. Try to shoot close up and wide angle views that include you. Close-ups are great but shooting a wide-angle view lets everyone see where you were when you took your Selfie. If your location is pretty—show it off! Be aware of your background. Just like when you’re shooting a portrait of someone else, you don’t want a tree or telephone pole growing out of the back of your head! If you don’t have a tripod, use a sturdy surface to place your camera such as a table or other sturdy object. The last thing you want to do is have the camera fall to the ground because it was precariously balanced on something not meant to hold it. Many Nikon COOLPIX cameras can be used with a selfie stick. Using a selfie stick is great because the photographer has an opportunity to be included in the photograph, which is great for family photos. Check your camera's user's manual to see if your camera offers wireless functionality or is compatible with a Nikon wireless or wired remote. 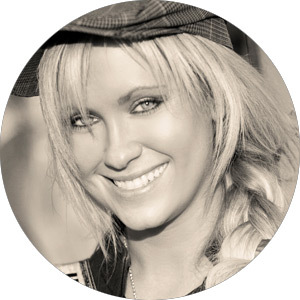 Dixie Dixon is a Texas born and bred commercial fashion photographer. Her passion has led her to shoot internationally in places such as Cannes, Toronto, Vancouver, New York, Miami, Los Angeles, Ibiza and Barcelona for various brands, TV shows, commercial campaigns and editorial projects. Go to her website www.dixiedixon.com and her ambassador page.